On the 18th prior to the big AF MAIN SHOW CASE on the 19th, we have organised a informal yet enriching time for networking and discussion with our Japanese guest artists Electric Eel Shock and MUSIC FROM THE MARS members. AYA FEST (AF) is a 2-day festival organised by Aya Sekine, a Singapore based Japanese jazz pianist, who is the director Bon Goût Music (BGM). This is a celebration of Aya's venture of connecting Singapore and Japan’s independent music scenes, with the aim of developing larger and stronger community across the border, which she believes can make things more interesting, exciting and inspiring for both parties, as well as for audience and business partners whom are involved in the production. We have programmed, managed and marketed Singapore's rock band with Brazilian rhythm influences, Wicked Aura's inaugural Japan tour which included appearance at Summer Sonic 2017 (Tokyo). Throughout the tour Wicked Aura was match made with one of Japan's best alternative bands, aiming them to experience different artistic inspirations and cut into the Japanese music scene with impact. We have also produced a rhythm workshop partnering with Non-profit The Global Families Japan, which created a platform for cultural exchange through music with kids and families. Following the release of their debut full-length album, Apnea, Bon Goût Music has programmed and managed Singapore's alternative band sub:shaman 's first Japan tour. We have supported the booking, collaborations, visa documents arrangements and other on/off site management through out the tour. It was a wonderful evening at Kult Kafe on Emily Hill where more than 300 people gathered to have a really fun time around and with Jazz. An evening of Jazz and New Orleans Music feat. Kenji Suzuki (Japan/ Blitz And Squash Brass Band) , Aya Sekine Trio, New Stream Brass Band and many special guests! Bon Goût Music has managed/organised a 16-days Japan tour for Singapore's local soul/hiphop/jazz quartet L.A.B (Listen And Believe). Bon Goût Music has organised yet another tour of a composer, guitarist, vocalist, an improvisor - a gifted and passionate Japanese performer SAIGENJI. 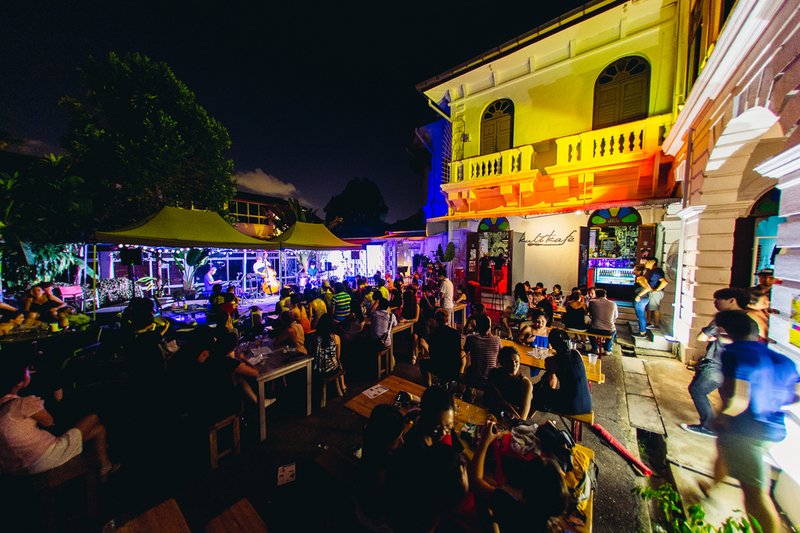 We have organised 3 separate tours of this talented artist in the past, which included performances at now defunct Jazz@Southbridge, Blu Jaz Cafe and Mosaic Music Festival at the Esplanade. The artist has wowed many fans and audiences in his previous visits, and for this come-back tour he has shared his music in with local Soul/Jazz/hiphop outfit L.A.B. (Listen And Believe) at Blu Jaz Cafe as well as a one-man show at KIZUKI+LIM at Raffles Hotel Arcade - plus a very special workshop at Lithe Paralogue. We can't get enough of Saingeji and his music.